Abruzzo is not one of those regions that immediately pop to mind when thinking about travel destinations in Italy… yet, it is a striking land full of historic and artistic riches, and features a pristine, breathtaking nature. At Italian Special Occasions DMC we believe that it is a fantastic destination for families who wish to explore places that are off the beaten track in an eco-friendly way, and who want to learn more about the local environment and history. Let us see why and how to enjoy this region with your loved ones! This green paradise is ideal for the whole family to treat the lungs with some fresh and clear air, for children to learn about biodiversity, and for adults to relax and take a break from the hustle and bustle of daily life. Activities in the parks go from trekking and cycling during summer, to skiing and hiking with ciaspole (snow rackets) during winter. The territory also allows for some authentic and unique initiatives for the family, such as an excursion with local experts in the Majella National Park along the tracks of the Apennine wolf, to learn about this rare and endangered species, and to observe how it hunts and survives in the woods, valleys and mountains of the park. For those who prefer not to ski, snow tubing guarantees great fun even for the most unexperienced on the snow. While if your family group is looking for a good adrenaline rush, snowkiting (or kiteboarding) can be learned and practiced on the breathtaking mountains. What better way to explore the local landscape and nature than riding a horse? This is an all-time favorite activity for both the young and the older generation, and Abruzzo offers the ideal setting. The ‘Ippovia del Gran Sasso’ is a 320-km horse trail that unfolds in the Gran Sasso e Monti Della Laga Park and crosses the provinces of L’Aquila, Pescara and Teramo. Therefore, it also allows you to appreciate the cultural, enogastronomic and artistic heritage of the region as you travel in harmony with nature. Speaking of heritage, Abruzzo is home to an incredible number of historic castles and towers that dot its towns, mountains and valleys. One example is the mesmerizing Rocca Calascio, a mountaintop fortress at an elevation of 1,460 meters (4,790 ft), which makes it the highest fort in the Apennines. Dating as far back as the year 1000, it was built of stone and masonry for military purposes. The fortress is located between the towns of Castel del Monte and Santo Stefano Di Sessanio, both of which are part of Italy’s Most Beautiful Villages Club along with 19 more charming hamlets across Abruzzo (as of October 2014). Families can enjoy the local arts, history and culture by visiting these picturesque towns, their local squares, rustic restaurants, and –above all– the spectacular network of local museums. From great archeologic collections to classical art museums, from exhibitions of contemporary art to museums dedicated to local folklore, there is a museum for every aspect of history and lifestyle. 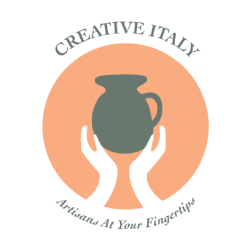 Excellences include the Abruzzo National Museum, the National Archaeologic Museum, and the lavish Museo della Ceramica, showing hundreds of artistic majolica masterpieces produced in the tiny town of Castelli from the 1500s onwards.